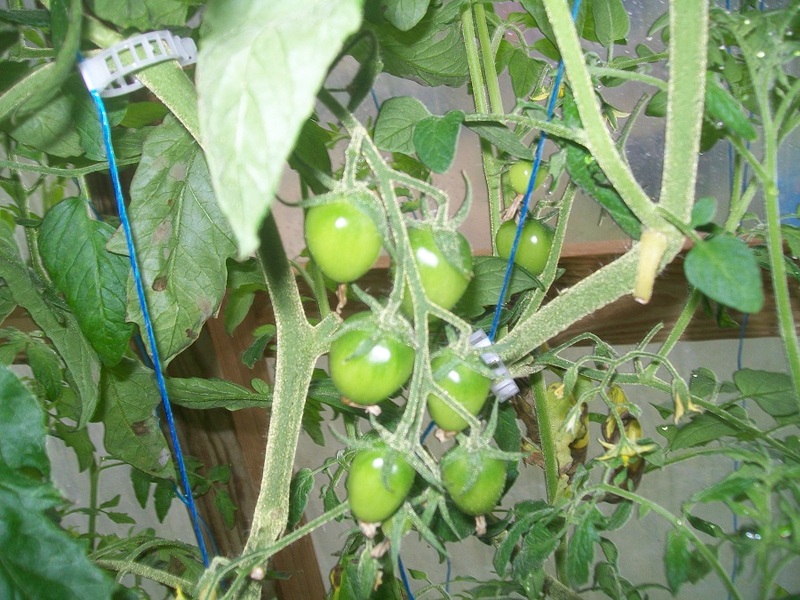 Tomatoville® Gardening Forums Index > We're Here For The Tomatoes!™ > Crosstalk: Tomatoville Research and Development™ > My cross was a success!! 1. Yes, it's yellow, so you have a red not a pink mater. 2. 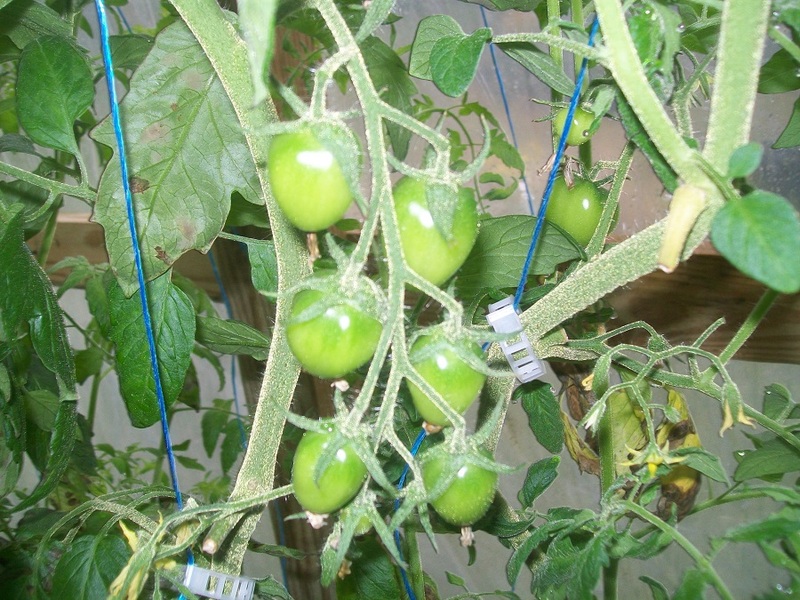 Some ripe maters have green shoulders. The green shoulder trait is linked to tastiness. 3. The softening makes me think they're ripe, but let some ripen further to be certain. 4. Most importantly, how do they taste? I didn't taste them. It was late and I just rushed through the process to save a few seeds. I'll give a report later. Sometimes green shoulders are from sunscald too. You might avoid seeds from the green part, they are less likely to be 100% viable if unripeness or sunscald is cause of the green. 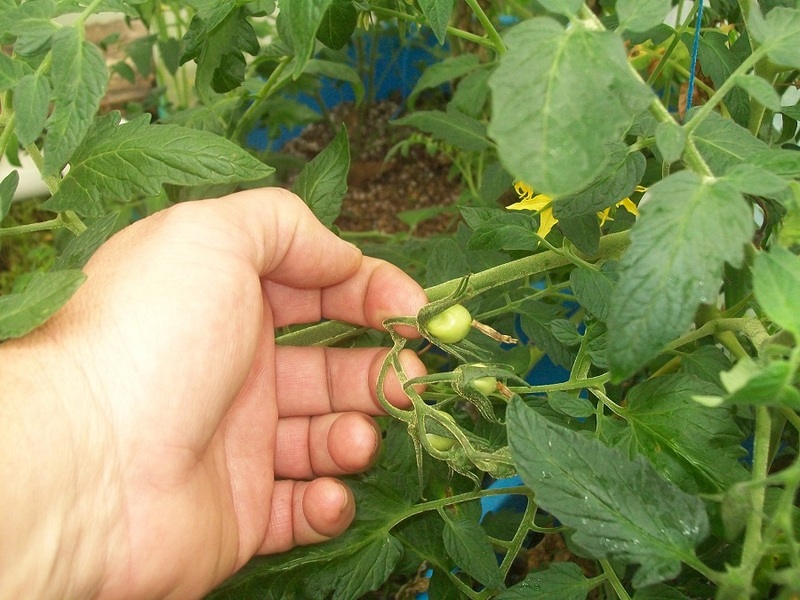 Seeds from the red part should be ripe and ready. You definitely have a yellow epidermis and a red fruit, which is exactly what you would expect. Campari is a red parent and that's the dominant color trait, both gf (black fruit) and clear epidermis (pink or purple fruit) are recessive traits, you will expect them showing up roughly one in four of your F2. BTW is Campari an OP? If it's not a 100% stable OP, then you would have variation in the F1 for the less than fixed traits like shape. So if you're seeing different shapes on different F1 plants, best to save seeds from the one you like best, for sure. Thanks Bower! That makes sense of the shape on some of these. I think Campari is a hybrid and something I didn't think about. The Campari's would be F-2 when I made the cross. I guess I'll label fruit shape and keep seeds separate to use later. I've been saving seeds and labeling them by shape, some have more of a point than others. I found one that's shaped like the original Campari. These taste like the Campari, not sweet with a good acid flavor and lots of juice. Growing these out should be fun. One unexpected bonus, this plant is still producing in the heat while most others have shut down. I'm guessing it's like most other cherry tomatoes. 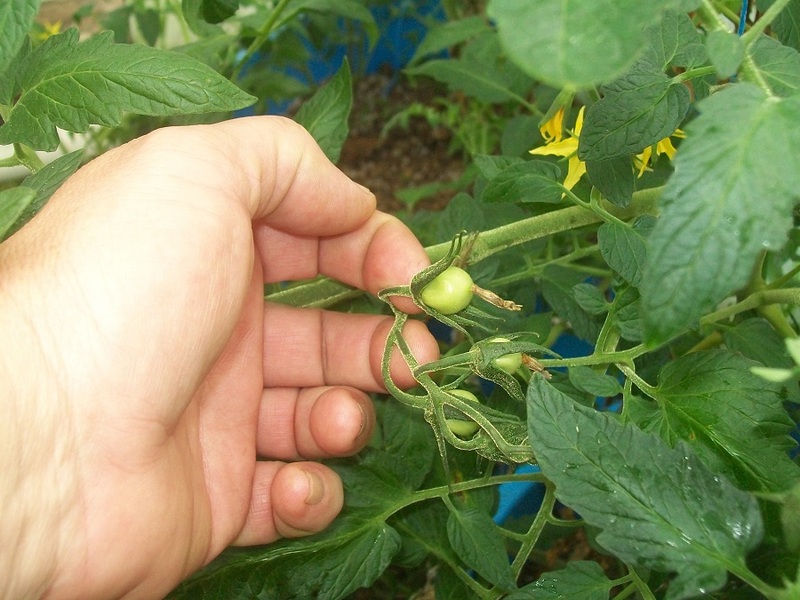 What makes cherry tomatoes continue to produce in high heat? I grew 25 different varieties of the best tasting tomatoes mentioned on Tville. Yesterday we did a taste test of some and my cross ended up in the top 3. The tasters were 4 adults and it seems we all like the same strong acid flavors. 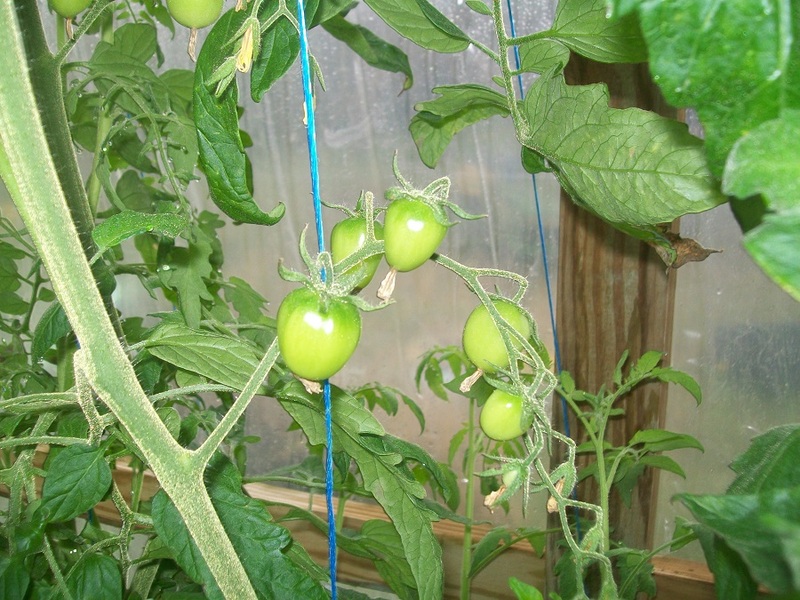 We didn't rank them in order but just listed them as a good tomato and worth growing again. These were considered the worse, I wouldn't exactly say worse but just a weaker flavor profile. I had a friend over tasting who's also growing most of these and he said his Orange Slice was better from his garden. I'm guessing the soil makes a difference in taste, he has raised beds and I'm growing in ground. I'm glad everyone like the flavor of the cross, now I need to try to keep it going forward. A friend of mine grew some of the F-2 seeds for me. He only had a few plants and had to pick them since they were splitting from all the rain and now next week he has some cold weather coming so that's it for his season. I didn't expect a plum shape but I guess it works since one is a productive determinate plant. I'm waiting on his report on flavor. I have 15 plants growing now in the GH so hopefully I'll get a black. They don't look like good eating tomatoes, but they look like excellent saucers. I'd pick seeds from the most unblemished (for marketing, assuming the taste was the same) and continue from there. They are pretty gnarly looking for the most part. Looks like you've got lots of fun ahead of you. I snapped a few pics of the F-2's I have growing in the greenhouse. These look promising as far as shape goes now the waiting game on the color. It's hard to see but the shoulders have a dimple and are almost square. Nice to see you getting a jump on the season. Good times.